This evening's parent group meeting has had to be postponed due to illnesses for all three of the leaders for the upcoming events. I will get the new meeting date out to you as soon as it is detemined. Watch for a fundraiser to come home with students on Friday! AES is planning a calendar raffle. People will buy a copy of the June calendar with a donated item listed on each day. There will be daily drawings for people to win the items. We are in the process now of collecting donations for each of the days in June. If you are in a position to support us, that would be so helpful! There is a copy of the donation request letter in the documents section. 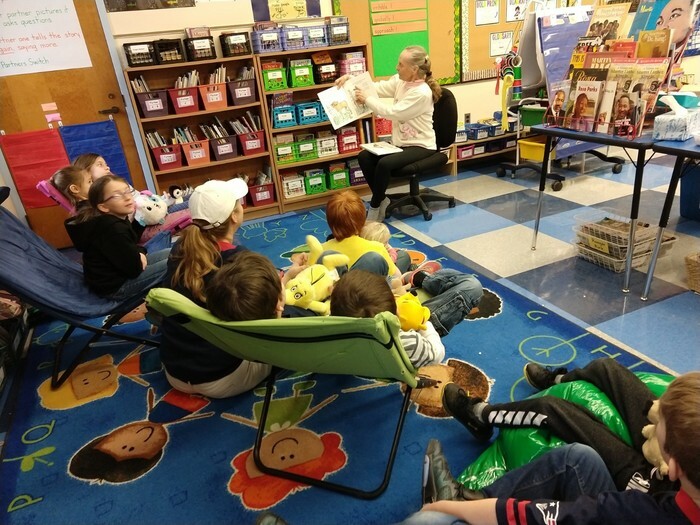 Mrs. Dykstra came In to read to Ms. Fox's class for the "Read to Me Challenge"! 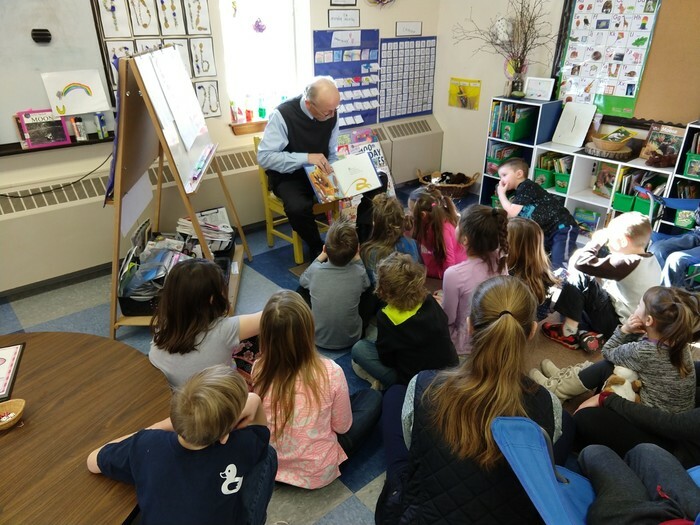 Mr. Doty read to second grade on the first day of our "Read to Me Challenge"! 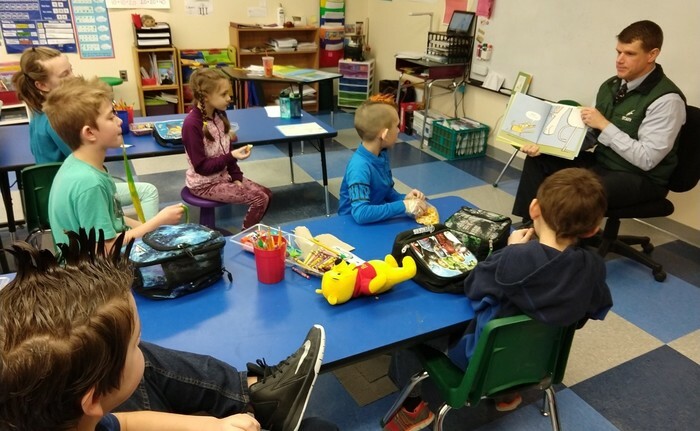 Have you posted a picture of yourself reading to a child yet? We would like to flood Facebook with pictures of children and adults enjoying books together!! 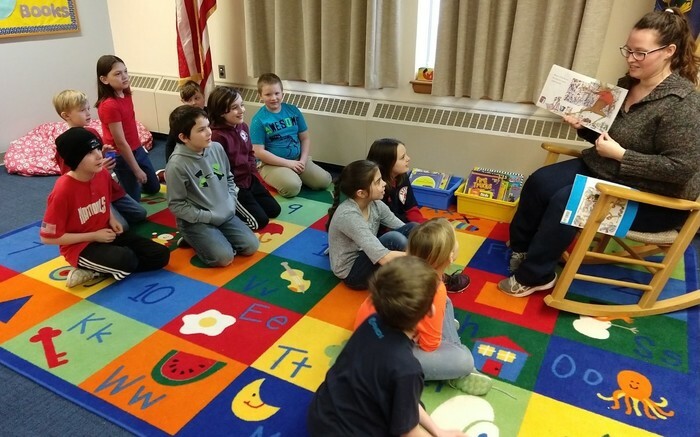 Mr. Walker read to kindergarten, first and third grades to kick off the "Read to Me Challenge"! 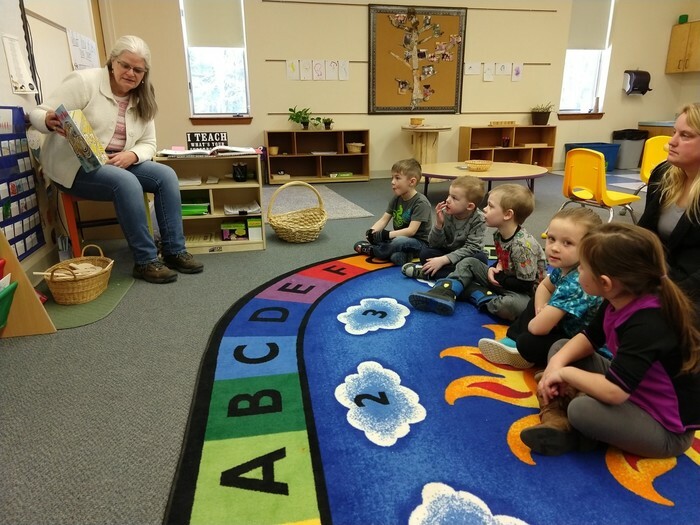 Mrs. Moore, our awesome bus driver, came in to read to the pre-kindergarten class for the "Read to Me Challenge"! 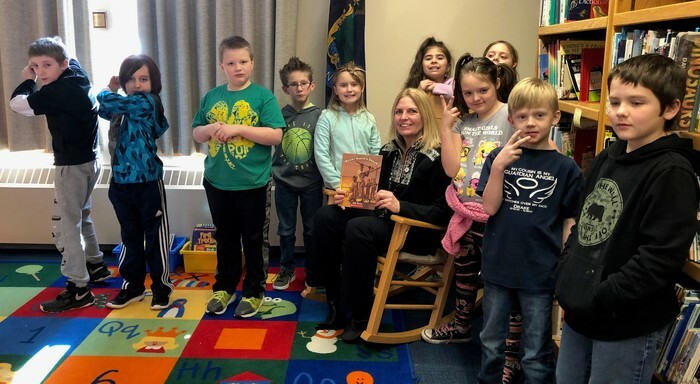 Mrs. Vafiades' mother Donna Lee Ayer came in to read to the second grade for the "Read to Me Challenge"! 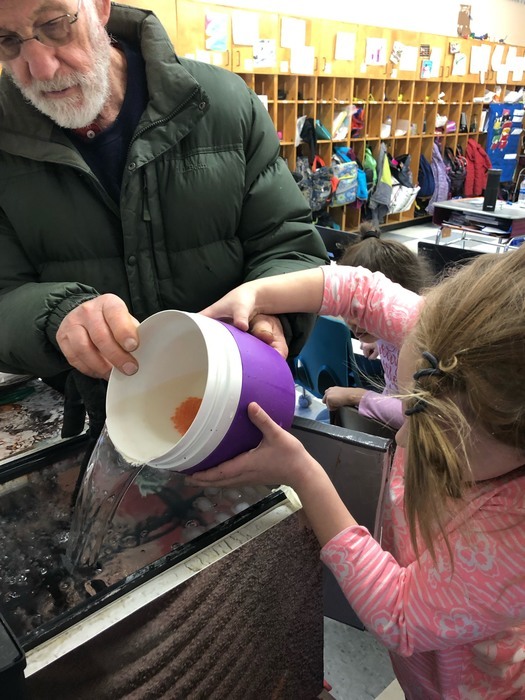 Third and fourth grades at AES are raising salmon eggs in a tank in their classroom. 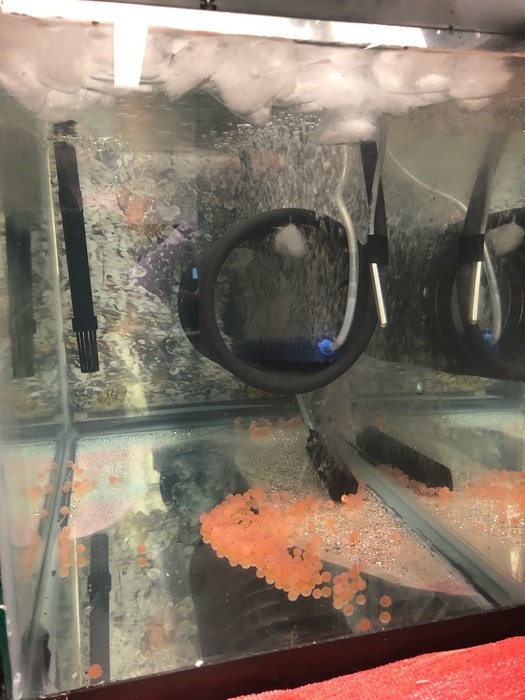 They will release them when they hatch later this spring. Ms. Leonard read to 3rd and 4th grades about Hank Aaron for the Read to Me Challenge. Post a picture on your Facebook of you reading to a child! Spread the happiness books bring to kids! 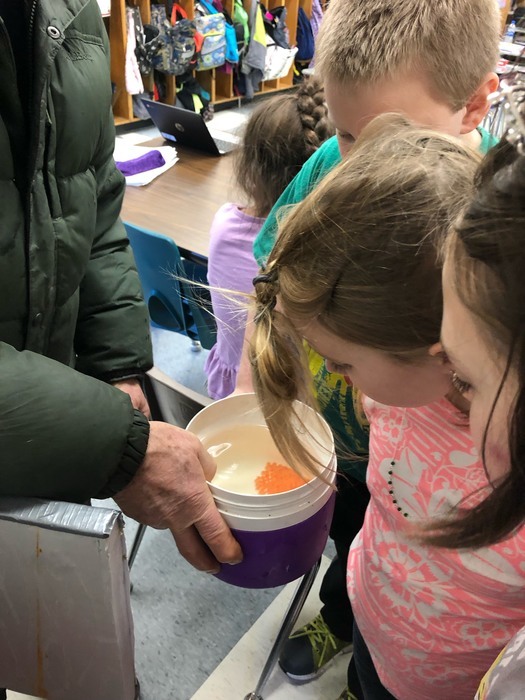 There will not be school in RSU34 schools today, February 13, 2019. 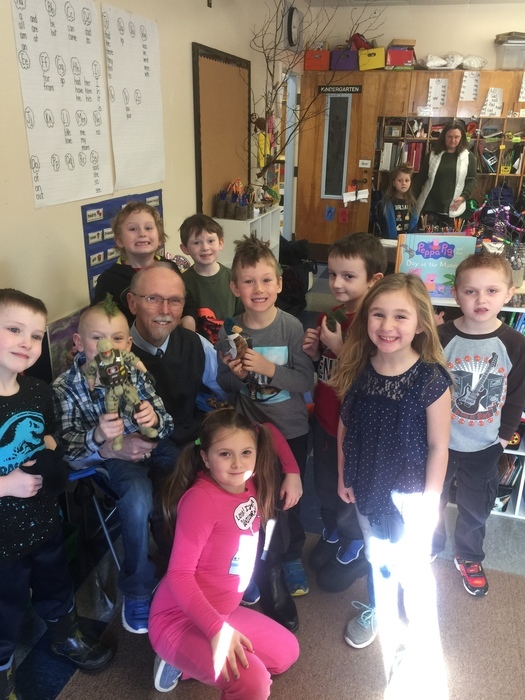 Superintendent Walker visits kindergarten/first grade. No school today, January 30! 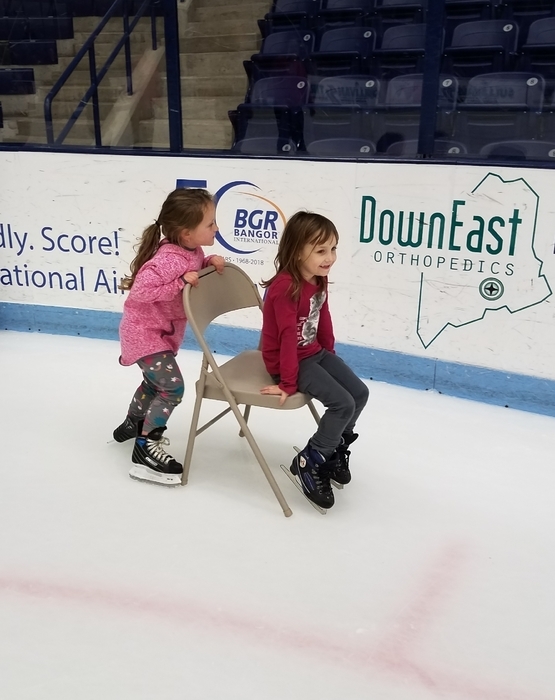 The kids really rocked learning to skate on Friday! 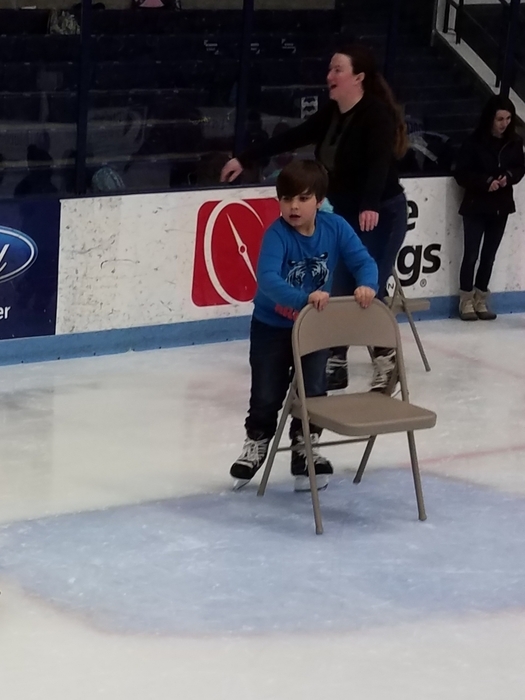 It was a lot of fun and all the adult help was really appreciated! 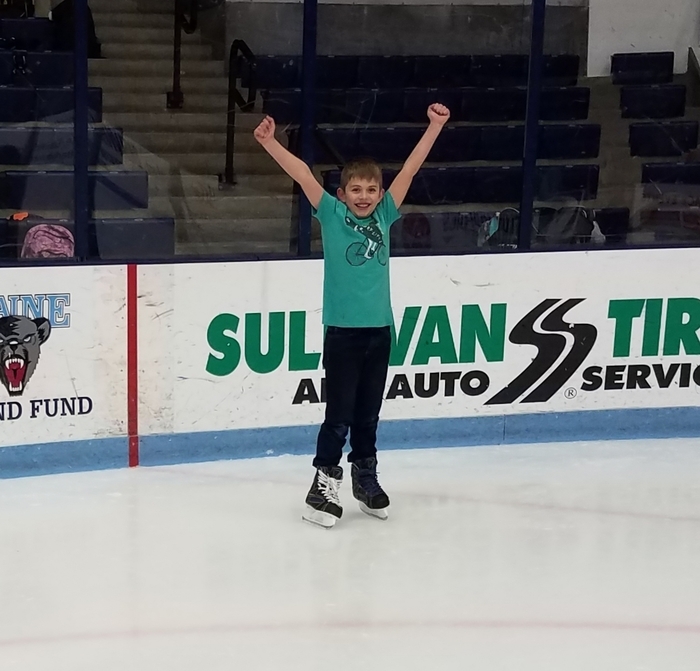 There will be an after school ice skating trip to the Alfond Arena on Friday, January 18th from 3:30-4:30. 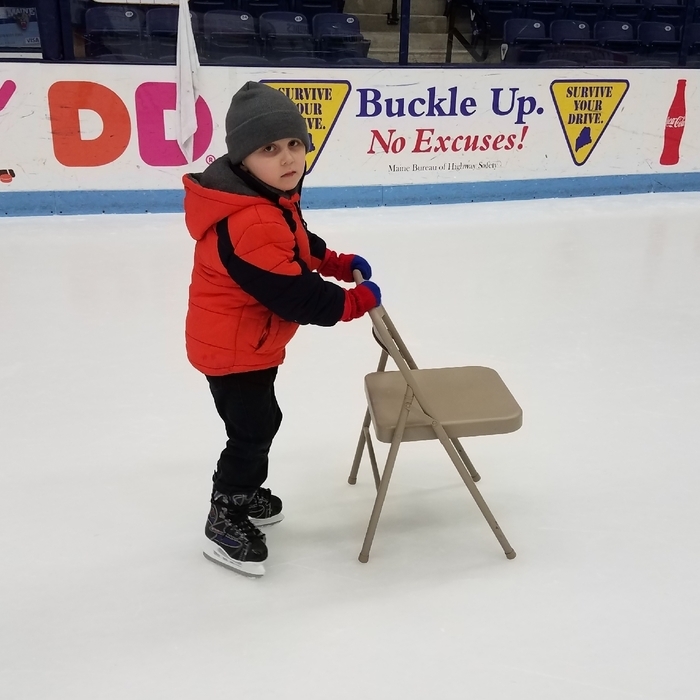 Students will be bussed from the school but will need to be picked up by parents at the ice rink at 4:30. Permission slips have gone home. There will be no school in RSU34 today. Be safe! Please call the Alton school (394-2331) to RSVP if you plan to attend the Family Code Night! Tuesday will be pajama day for Red Ribbon Week. Look in the events section for the daily themes! There will be a benefit supper to aid the Dykstra family as they begin to rebuild their home. It will be at the Alton Elementary School on Sunday, November 4th from 4:30 - 6:30. Please watch for more details! The Yankee Candle fundraiser is due on Oct. 5. The orders will be delivered prior to Thanksgiving and will make wonderful holiday gifts. The school will receive 40% of those sales. School picture day will be October 12th. The Yankee Candle fundraiser is going on now! Place orders through any Alton Elementary School student. Breakfast will be available starting at 7:45 AM. Welcome back to school on Tuesday, September 4th! Staff is excited to start a fantastic new school year!